Mujer a Mujer involves women everywhere to promote the use of safe products at home, and to improve the quality of life and health of our communities. Above, founders of Mujer a Mujer. 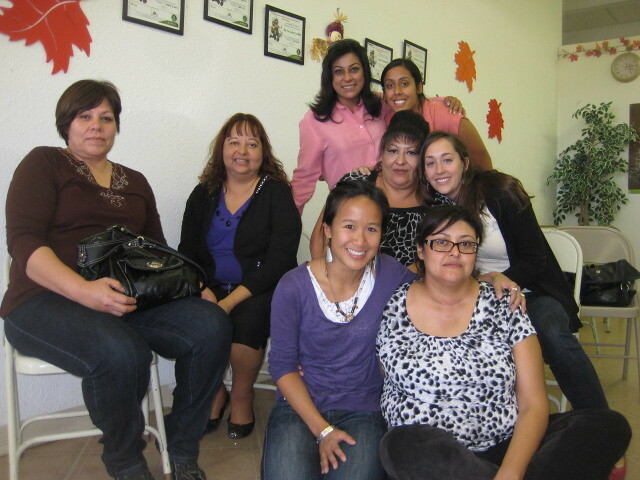 Five women from Sunland Park (Cruz, Olga, Magdalena, Martha, and Lourdes) and three women from MIT (Erica, Shayna, and Adah) had just launched Mujer a Mujer, Woman to Woman, a cooperative business dedicated to generating income for low-income women while bringing healthy and environmentally friendly products to their communities. These five Latina community leaders from Sunland Park have seen grant projects come into their community time and time again, and then end abruptly when funding runs out, leaving community members without income or jobs. My colleagues and I were three MIT Masters of Business Administration students, who were dreaming that a cooperative market-based approach would solve the dilemma of relying on grants to bring environmental health to the Sunland Park community. Mujer a Mujer emerged from my business school colleague, Shayna Harris, and her relative Cruz Saenz, a 43-year-old Mexican immigrant living in Sunland Park, New Mexico. Over the past ten years, Cruz has led environmental health trainings in her community and has taught other women how to make homemade eco-friendly household products. These health trainings came to an abrupt end after the financial crisis when grant funding ran out. Shayna was inspired by Cruz’s community organizing work so Cruz and Shayna started to brainstorm a new model to continue this work. Shayna floated the idea with Adah and I in an ideation session. Together, we visited Sunland Park and met with Cruz and four other community leaders (Olga, Lourdes, Martha, and Magdalena) to envision a model to make this happen. 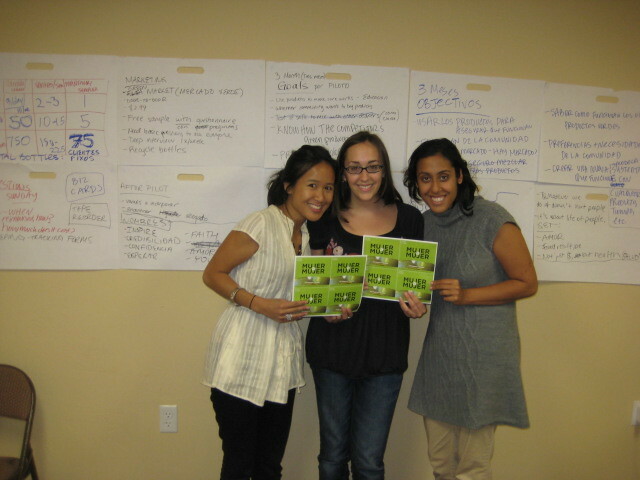 In September 2010, we launched a pilot concept based on the previous work of the women in Sunland Park. 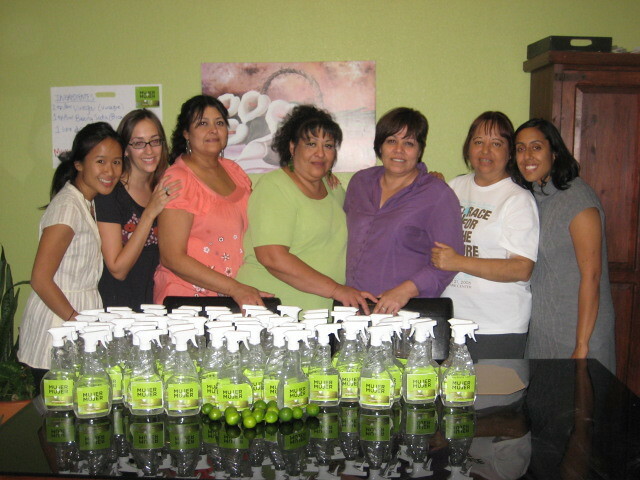 Together we developed Mujer a Mujer, a direct selling model of an all-natural cleaning product made of vinegar, baking soda, water, and lime essence. Adah Chan, Shayna Harris, and Erica Dhawan. Yet when we met in October, there was an inherent disconnect that had been prevalent during our entire weekend. We were acting as five experienced organizers and three idealistic graduate women, rather than a unit of eight. Shayna responded to Olga, “That’s why I have gone to business school, because the financial system is messed up and we need to change it. I know we don’t want to run like a conventional business, but we need to find a way to make the community health work sustainable.” I intervened, “Olga, you just gave us a sense of purpose, this is not about just us, we need to take our collective power to change the system.” By ‘system’, we meant the system of dependency by which the ‘poor’ are recipients of outside aide rather than self-sustainability methods for development. The conversation changed from being about selling green cleaning products in Sunland Park to changing a cycle of grant reliance and creating a new, innovative cooperative model which would provide steady income, jobs, and health improvements. • Differences in background and experience can be turned from a liability into an asset. Once we bypass all our differences, we can actually focus on our common work and goals. • It is important to hold on to the essential parts of continuity and let go of what’s not essential for change. We need to cherish the experience of five Latina women and the idealism of three MIT women. The combination of the two allowed for the capacity to co-create this new organization in an innovative way. Post by Erica Dhawan, MBA 2012. She is a co-creator of Mujer a Mujer with Shayna Harris, MBA 2011; Adah Chan, MBA 2011; and five community leaders in Sunland Park, New Mexico.